The night began with Jaime Munguia eager to get his ordered mandatory title defense out of the way while fighting in front of 17,000 adoring fans in Monterrey, Mexico. It nearly ended in disaster, as the unbeaten 22-year old from Tijuana was considered fortunate to prevail in their DAZN-streamed super welterweight title fight Saturday evening. Scores of 114-114 even, 115-113 and 116-112 in favor of Munguia, who lodged the fourth successful defense of the 154-pound title he claimed just 11 months ago. Many watching the livestream were in disbelief over the outcome, as a popular opinion was that Hogan (28-2-1, 7KOs) deserved the nod. The reigning titlist might not agree with that take, but also admits he didn’t fully expect to win by night’s end. Munguia struggled to a degree in a 12-round win over previously unbeaten Takeshi Inoue less than three months ago. That he got the decision that night wasn’t as surprising as the very wide scores in their spirited affair. For the second straight fight, however, the defending titlist was less than explosive—and even less convinced that he wlll be able to stick around at 154 much longer. At his age and also as a 6’0” super welterweight, it’s hardly a stretch to believe that middleweight is very much in his future. Of concern, though, is how often he gets hit and how much he still needs to learn and improve. 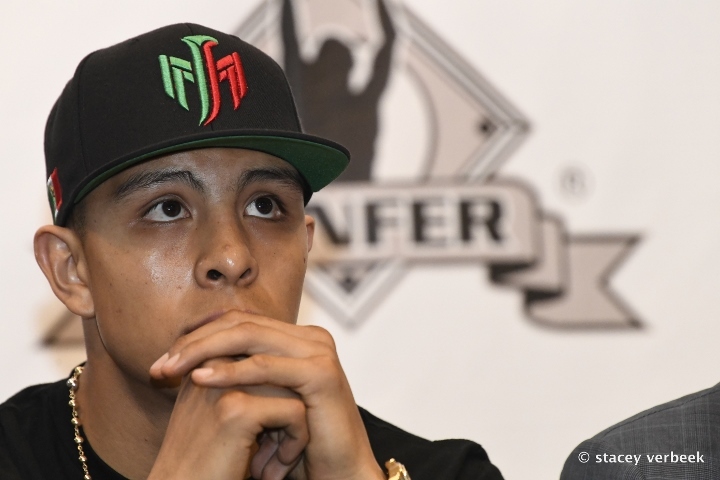 “We will have to have that discussion with Zanfer Promotions and Golden Boy Promotions and decide what’s best for my future,” noted Munguia. [QUOTE=BOXING-SCRIBE;19658520]New and improved Chavez Jr[/QUOTE] somehow with worse head movement. [QUOTE=Mister Wolf;19658436]****ing excuses. So if its the weight then your next fight better be your middleweight debut. [/QUOTE] the kid rehydrates up to 175 and he doesn't think that draining himself to 154 is a problem? You could tell it was a big factor. Moving to 160 will do Munguia well.